Located just a few miles from The Painted Hills, one of the 7 wonders of Oregon, our Mitchell vacation rental is spacious and open with modern amenities and relaxing outdoor spaces. 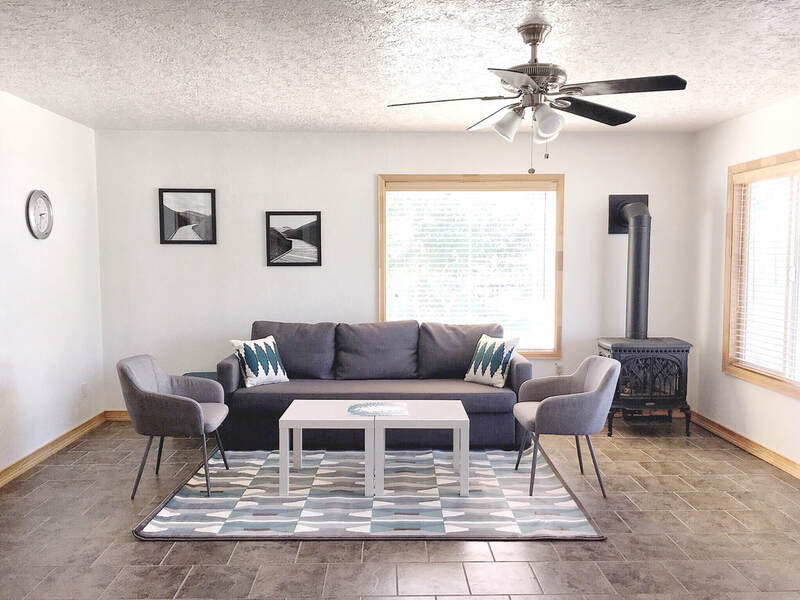 Our house has been completely updated with all new furniture and beautiful design touches making it the perfect place to stay when exploring the John Day Fossil Beds! ​Our rental house has two bedrooms and one bathroom with a large backyard with a covered patio for sitting or grilling. The backyard looks out into open spaces making it feel very private. There is ample parking large enough for several cars or an RV and is a short walk to Mitchell, Oregon's Main Street, which has a brewery, several restaurants, general store and a gas station. With ample room for up to six guests, it's a great alternative to a hotel. 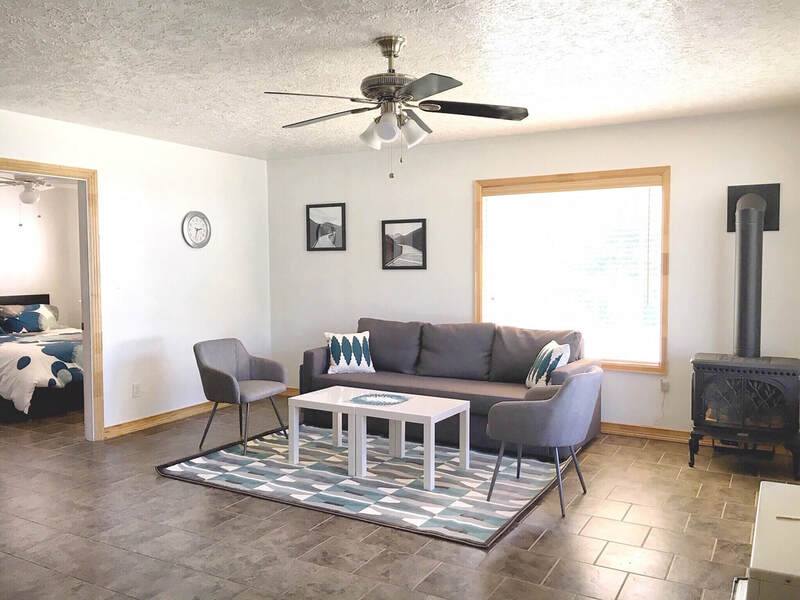 Our house is available to book through either Airbnb or VRBO/Homeaway using the links below and is a great option for lodging when visiting the area.